I don't fancy myself a street photographer, but sometimes I do play one on TV. 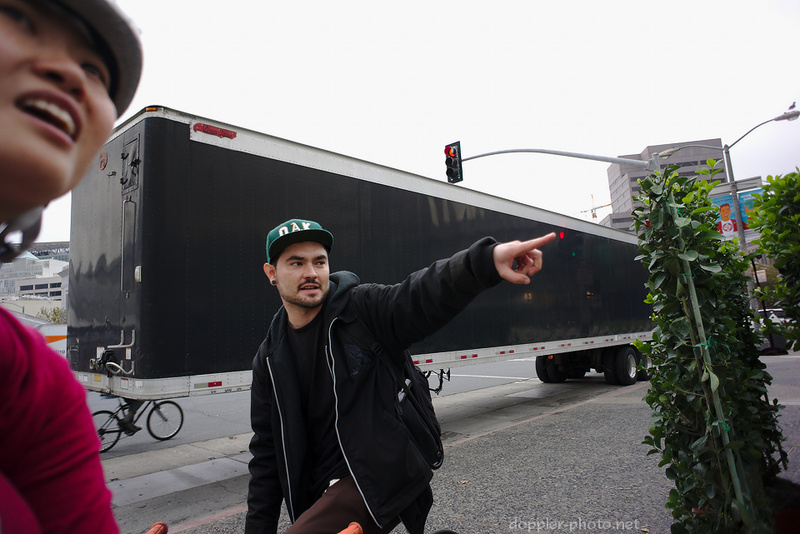 I spent an above-average amount of time in San Francisco this past week, and came up with a couple photos that made me chuckle, "Oh, this city…" Enjoy! 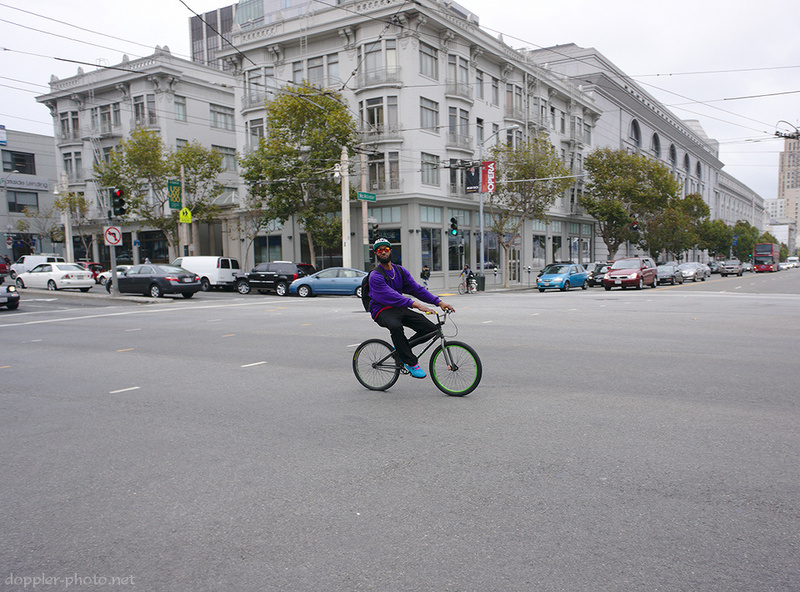 A brightly-colored man rides through a Civic Center intersection on the tail end of a yellow light. 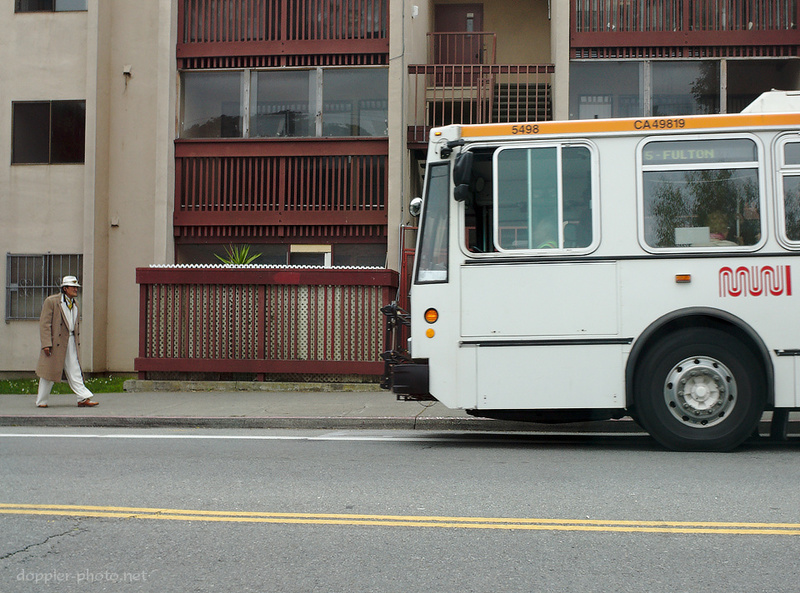 A dapper gentleman walks toward an approaching MUNI bus that he had been awaiting. 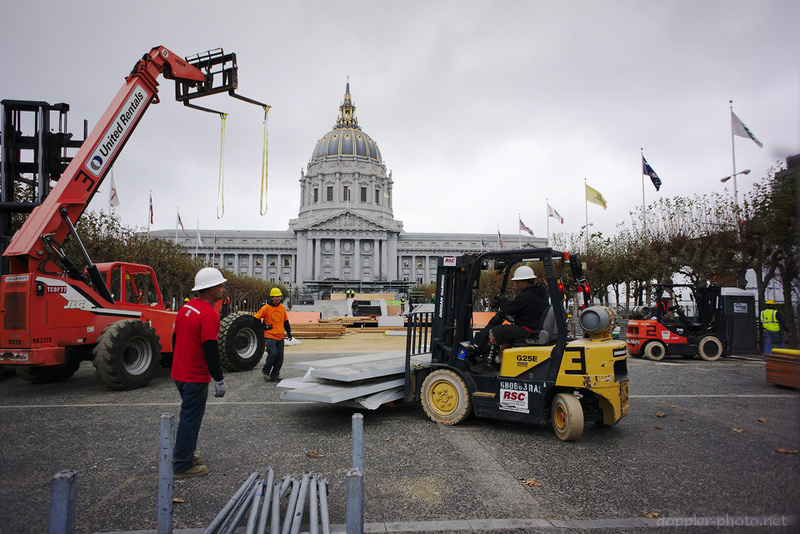 Workers construct a temporary skate park in the Civic Center courtyard, in front of City Hall. 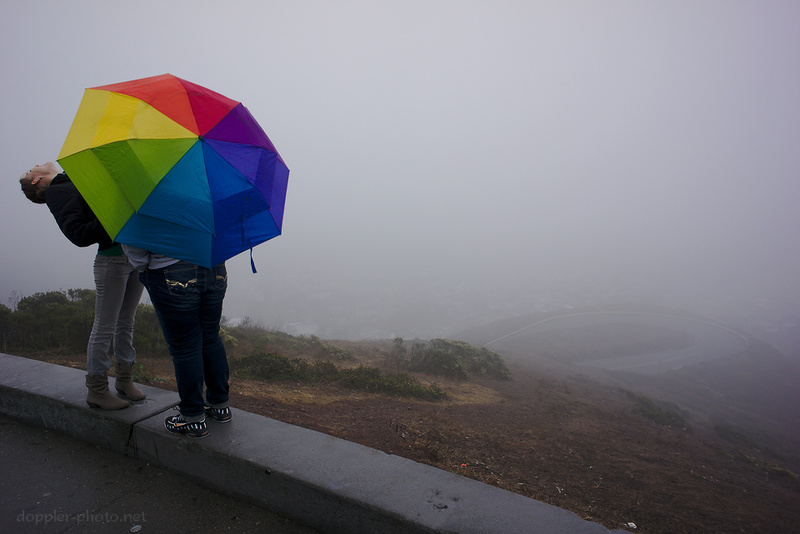 Two people enjoy a drizzly, fog-filled day atop Twin Peaks. 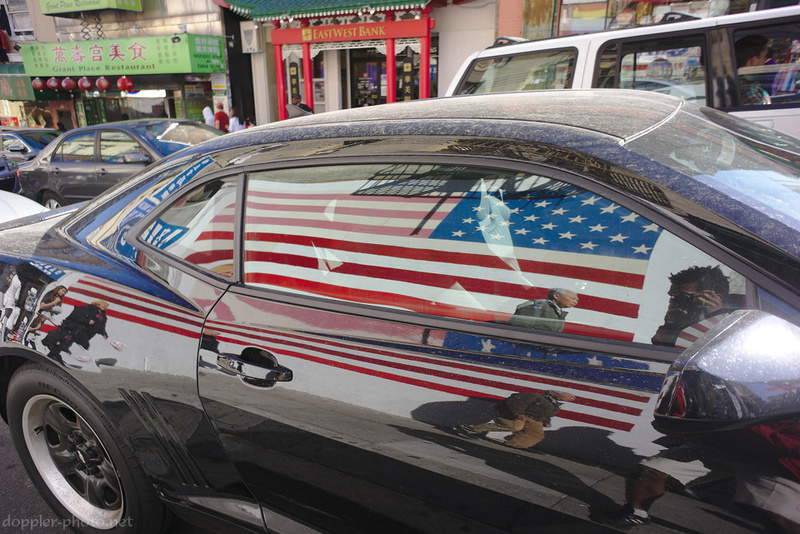 I was struck by the presence of a giant American flag in Chinatown, but thinking about it, it makes sense. Certainly as one of the first people in my own family to be born in the US, this country doesn't feel like a frontier; it just feels like home.